Rare Find! Totally loaded! 6.7 Liter Diesel! 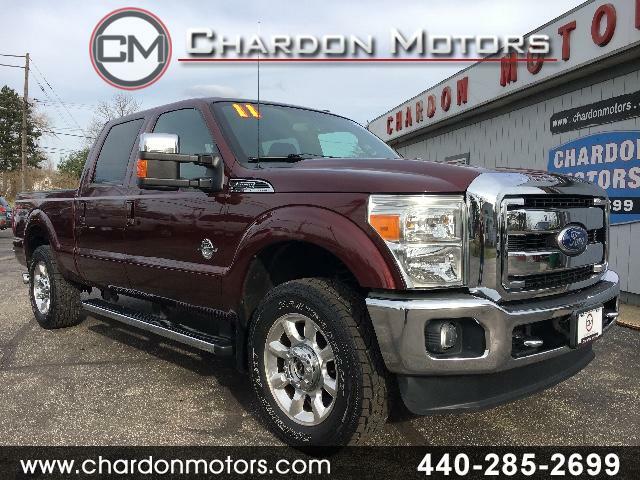 2011 Ford F250 Super Duty Lariat FX4 4x4 Offered by Chardon Motors. This is a CARFAX CERTIFIED truck. Every option! Sweet inside and out! Nav/Leather/Heated and cooled seats/ dual climate control / bluetooth/ SYNC with aux input/ rearview camera/parking sensors/ moonroof/ power pedals/ FX4 pkg, and much more. This Super Duty is essentially and small luxury semi! Room for the crew and tow/haul just about anything! Freshly serviced and unlimited mile 36 mo warranty available!